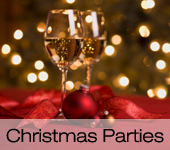 It only comes once a year, but the office Christmas party can take over the entire month! That's where we come in. 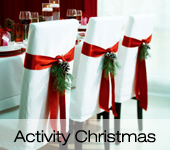 Leave the hard work and hassle to us and we'll get busy creating a Christmas party to remember. Our brains are full of all sorts of ideas, from traditional feasts to imaginative events. Do dinner with all the trimmings, or get everyone inspired with party games. 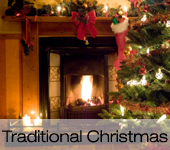 We can whisk you off on a Dog Sledding Trip in the mountains, get you all glammed up with a Casino Night, or treat you to a Medieval Banquet. Get creative with Christmas and make the dull office do into a really special event. It's the perfect way to thank your team for all their hard work - and make sure they continue to put in 100% next year!